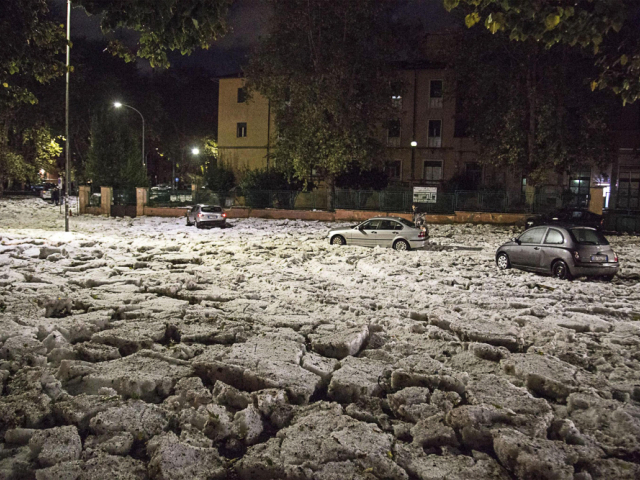 On the night of October 22, the thunderstorm with showers and hail began. Due to bad weather, six subway stations and several underground passages were closed, routes of some buses were changed, car traffic was partially blocked. The work of the subway was restored by Monday morning. 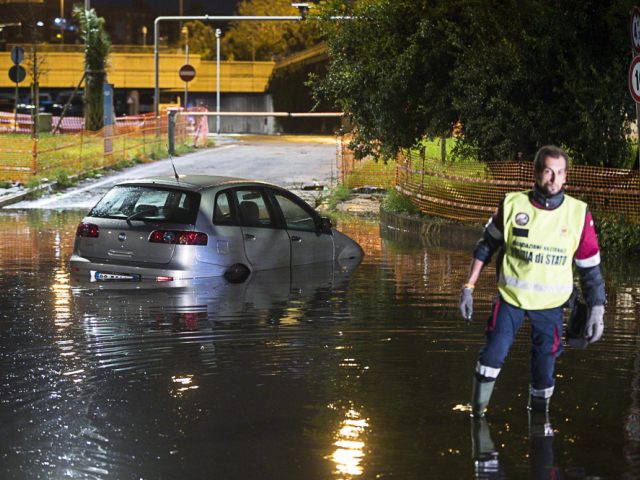 Several drivers were blocked in their cars in the flooded streets. The sights of Rome went under the water too. The water level in the Basilica of Saint Sebastian rose almost half a meter. Mayor of Rome Virginia Raji apologized to residents of the capital for “inconvenience” brought by the weather. In her Facebook, she said that the storm had caused severe flooding in the east of the country and knocked trees down in the southern part of the city. 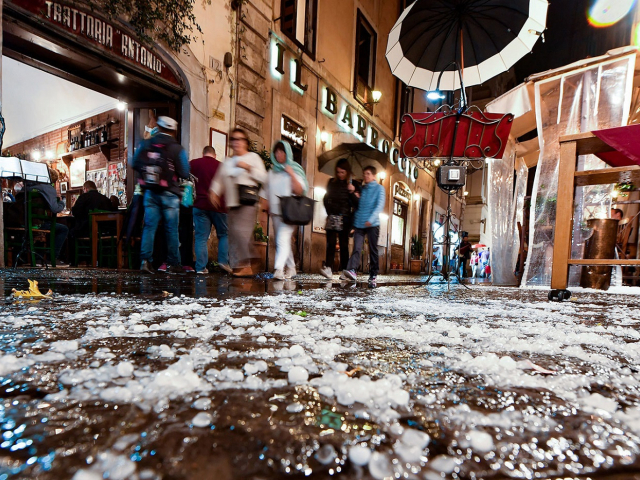 By evening, a cold weather came to the city: the air temperature fell by more than 10 degrees, it started snowing and there was a hail which caused ice jams on the streets. Such cataclysms of nature came as a surprise to the Italians, because a couple of days ago, the city had a true summer weather, and the air temperature reached 30 degrees. Meteorologists explain this abrupt change in climate by the difference in temperature between the warm Mediterranean and cold air flows from northern Europe. 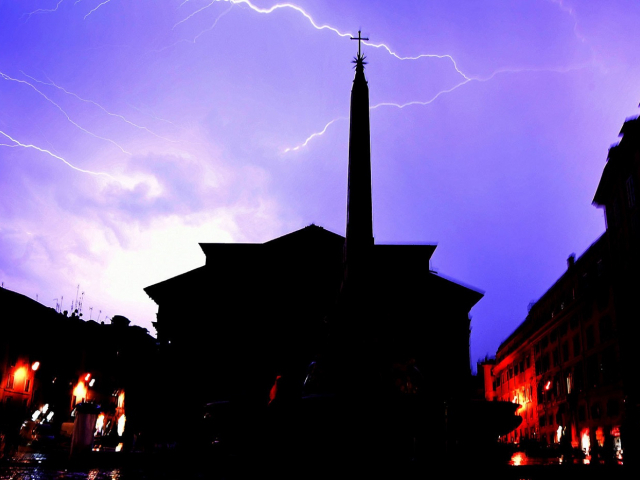 It is expected that bad weather will soon reach the south of the country, and the cooling will spread throughout Italy. While the shocked citizens publish photos and videos of the consequences of bad weather in social networks, all the services of the city, from firefighters and policemen to civil defense officers, are struggling with its consequences. 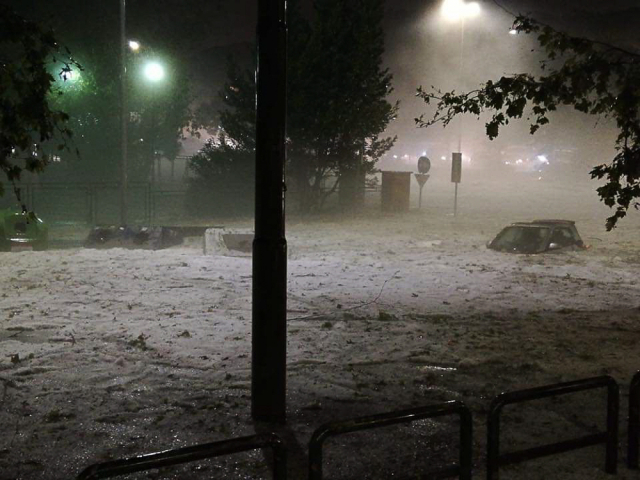 This year, the bad weather now and then overtakes the Italian capital. 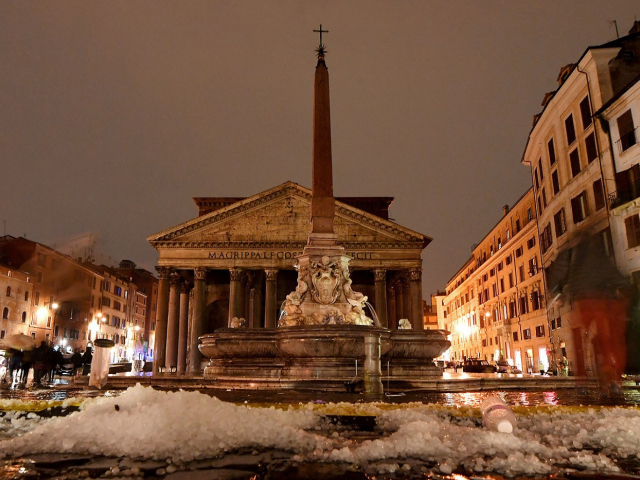 In February 2018, snow fell in Rome for the first time in 6 years. 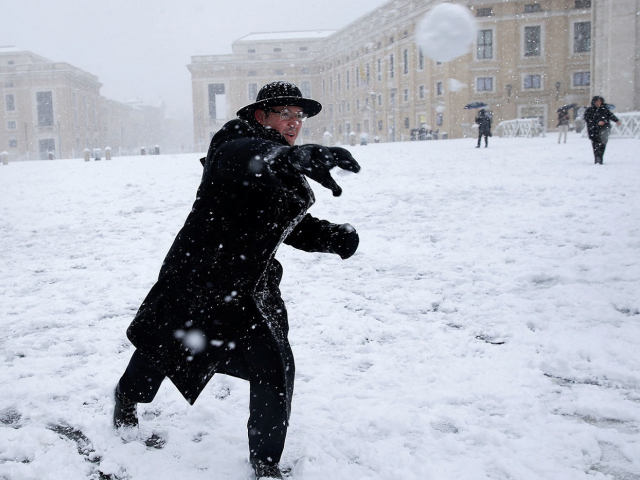 On the photo: the inhabitants of Rome play snowballs on St. Peter's Square in winter.